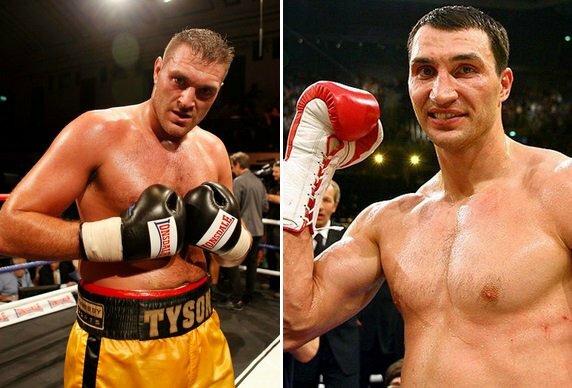 Tyson Fury and Klitschko are finally set to take on each other for the much awaited rematch on 29th October 2016 in Manchester. However unlike the first fight, the demand for this rematch has decreased significantly and both boxers will earn less in this fight than they did in the first encounter. Tyson Fury is set to clear between $6/$7 million guaranteed plus share of tv revenue with his unique deal with BoxNation. while Wladimir Klitschko will take home around $12/$15 million including his personal sponsorship and ppv share. Tyson Fury caused ripples in boxing world late in November 2015 when he won decision victory over Klitschko to become new WBO and WBA heavyweight champion. It turned out to be a massive fight and Tyson Fury earned his career best purse of $5.5 million. Klitschko cleared guaranteed $18 million plus PPV share and sponsorship. When the rematch was announced, Tyson Fury became the A side and he was predicted to make more money in rematch than the first fight. But delay in finalising the fight and Fury’s withdrawl from July date has some what taken the interest away from this fight. UK’s biggest sport network SkySports also passed out the opportunity to serve it as PPV leaving door clear for BoxNation who signed the deal to broadcast the fight live in the UK. Klitschko is the biggest loser in terms of finance as he will be making 25/30% less money than the first fight while Fury’s hope of earning the biggest British purse took a dent as well. Tyson Fury $5m to $6m guaranteed plus undisclosed payment from BoxNation on per fight contract. Tyson Fury has not been in good shape since his win over Klitschko last year and he is widely predicted to lose the fight and the belts. Klitschko on the other hand will be a total different boxer and what might turn out to be his last fight of the career if things don’t go as planned. The negotiations for rematch took alot of time and than came the withdraw by Fury which has really hurt the potential revenue stream for this fight. Now the fight is taking place in less glamours Manchester Arena and SkySports are not even interested in buying the fights which goes how the delay has take away the shine from this pretty solid heavyweight fight.